Alessandra Nadudvari was born in Slovakia; then a country behind the Iron Curtain. Contrary to the popular belief she did not have to wear army boots to school. Alessandra has fond memories of visits to medieval castles and ice caves, as well as meeting Mikhail Gorbachev during a field trip. Genetically predisposed to be a bookworm, she earned a teacher's degree in English language and literature. 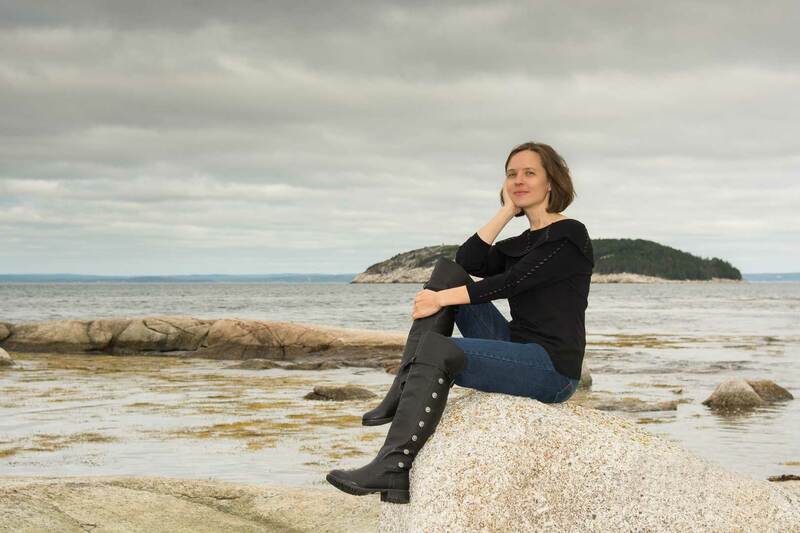 After a brief stint as a high-school teacher she journeyed to Canada, where she sailed on the Bluenose II and discovered that the ocean had grown onto her heart like a barnacle. Alessandra currently lives near the picturesque St. Margaret's Bay, Nova Scotia, where she likes to roam the coast and think up adventure stories for her son.